GOOGLE ADSENSE:How to Keep Your Adsense Account in Good Standing? Needless to further discuss thatwhat is Google Adsense?, because most of you know it and we've numerous times discussed it on this blog. But there are still many aspects should be discussed always among webmasters and especially there are dozens of key points which new bloggers or website owners must know about Adsense. The program that we are talking about today is run effectively by Google for years and has always improved its system for both publishers and users. Becoming an Adsense publisher means; respecting and following every suggestion Google has written on their policy page or has been updating on their Adsense Blog. This program has given thousands of website owners the opportunity they can make a livelihood out of it. But what when one see their account disabled by Google and read the painful email saying: "Your Account has been disabled due to a violation of our program policies". Many people say that their account was disabled without mentioning any solid reason by Google. But I would say that Google has its clear and user-friendly program polices for all Adsense community regardless languages and nations. The system works as same for the entire world. In some cases; Google might give more respect to some publishers i.e Premium Adsense publishers or their business partners etc, but for others, it is same. When your account is got disabled; its mean there was something wrong on your side, and Google many times gave you opportunity to correct that, but You didn't. So finally either Google's system detected a policy violation or your site got objected by human reviews. I don't think, Google can entirely disabled an account without any reason. There are many reasons Google's engineers consider when they finally decide to terminate an account. However, We've to follow all the program policies we're instructed by Google. Because there are millions of publishers, so each one can't be handled by Google separately. Everyone should carefully read the program policies and after that they must make the necessary changes before Adding adsense ads to their web pages. If they understand their site has content violating Adsense policies or something is not meeting with Adsense policies then they should at least remove the Ads from their pages and work on the concerned areas. How to read Adsense Program Policies? These resources are very helpful for you if you're an Adsense publisher. 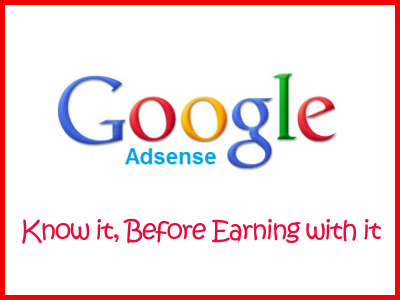 However, I will also give you some principle tips to keep your adsense account in Good Standing. This is the very first key point, and most of you aware of it. But I would mention one thing here, that don't visit your site again and again if you have very low traffic or just few impressions. Because the number of impressions you give yourself can be a percentage of your total impressions; and its not a good experience. And clicking on your ads or using any method to click your own ads means; you don't love your Adsense account. Now a days people don't really care about content. But it is the must thing in order to keep your Adsense account in Good Standing. Some key points are mentioned in Adsense policies regarding content guidelines which should be read very carefully. Sites having illegal content aren't allowed to show Adsense ads. However, you can also read the complete content guidelines on Adsense' policy page. This is the most important factor which is concerned these days for disabling Adsense Accounts. Most of the new publishers particularly from South Asia start websites/blogs by copying other people's content and somehow they get Adsense account, And after few days Google detect their copyrighted content and their account got disabled. So be very careful in this, If you have copied content on your blog then your Adsense account will be surely banned sooner or later. So never insert Google ads on pages having copyrighted material. These were some key points of Adsense program which you should always keep in mind when you want to be a partner with Google for a long time. It takes a little efforts but always healthy and worthy. Google loves your partnership but with loyalty and respect. If you are a new publisher then always be active on Adsense's Blog, Adsense Help Forum and follow the Google Adsense Plus page. Google Adsense's main aim is to provide the best user experience and to provide the possible relevant ads according to your content. So you should always keep in mind that you are creating a website for users not for Adsense. Adsense will fit on your site automatically when you'll produce useful content for the users they are seeking for. Work on your site deeply and make it user-friendly, so when you're getting people interested in your content then you can use Adsense for monetizing your content. At least 6 months work hard on your site and then display Adsense ads on your site.